On a wide expanse of lawn, a Futuro House is inhabited by Barney Vincelette. 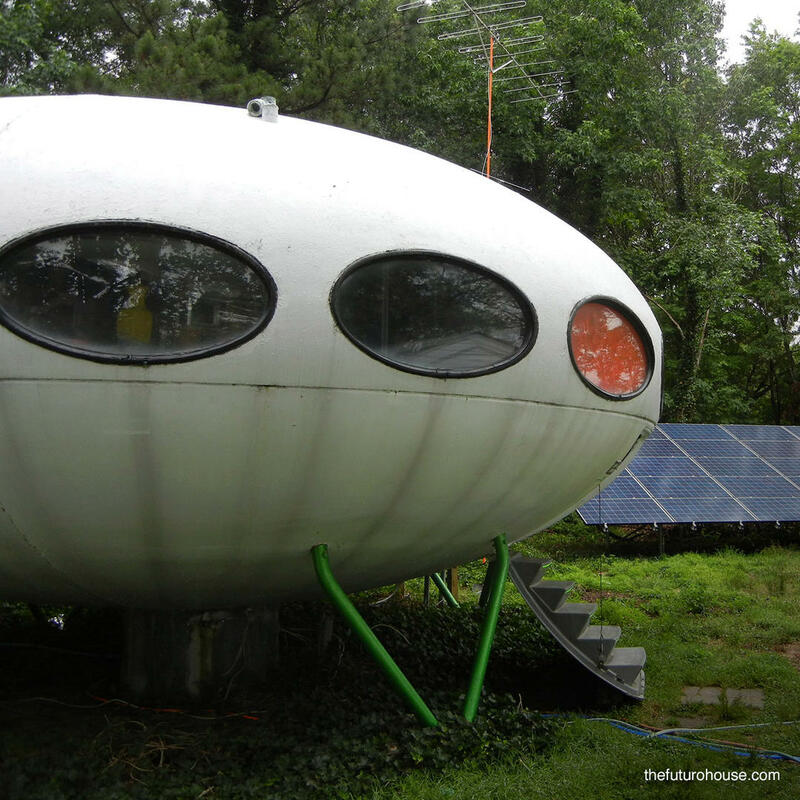 The U.S. Futuro Houses are either abandoned or poorly maintained but Barney has resided in this one for almost 40 years, and has kept up its appearance. For obvious reasons you can't barge in on his property but you can take pictures from a polite distance.